The EU will not discuss British Prime Minister Theresa May’s call for a post-Brexit transition deal until there is progress on key divorce issues including money and citizens’ rights, negotiator Michel Barnier said Monday. 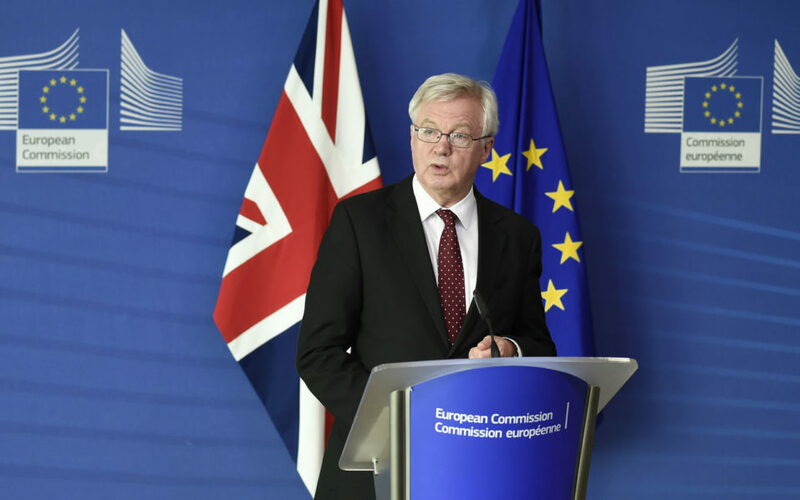 His British counterpart David Davis however reiterated the British government’s call for key issues to be discussed in parallel, saying in particular that payment of its EU divorce bill will be linked to a deal on future ties. The two men spoke as they met in Brussels to start the fourth round of talks over Britain’s departure from the bloc, and the first since May gave a speech on her Brexit plans. “For me, we cannot discuss a transition period without reaching a preliminary agreement on an orderly withdrawal. That’s the mandate I have, and no other,” Barnier said. “This is essential and would enable us to advance this week, I hope and make real progress over the coming months,” he added. Davis however linked the Brexit bill to a future trade deal. “We do not want our EU partners to worry they will pay more or receive less over the remainder of the current budget plan as a result of our decision to leave,” he said alongside Barnier. “The UK will honour commitments we’ve made during the period of our membership.